HURRY! 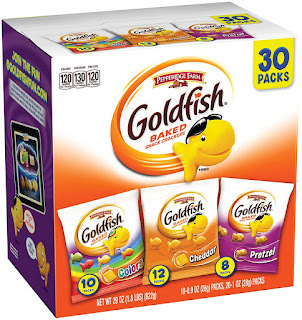 Head over to Amazon.com where they are offering 30% savings for Amazon Prime Members on this 30-Count Variety Pack of Pepperidge Farm Goldfish. Even better, clip the coupon on the product page for an additional 30% off and opt to Subscribe and Save, and you'll score this variety pack for just $3.49 shipped! SWEET! Final Cost $3.49 shipped – just 12¢ per bag!